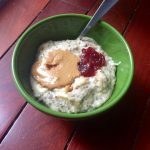 Intuitive eating isn’t just for the woman at a “healthy weight.” Or for the woman who is underweight. It isn’t just for the woman who has restricted her food intake for however long or the woman who has had an eating disorder. 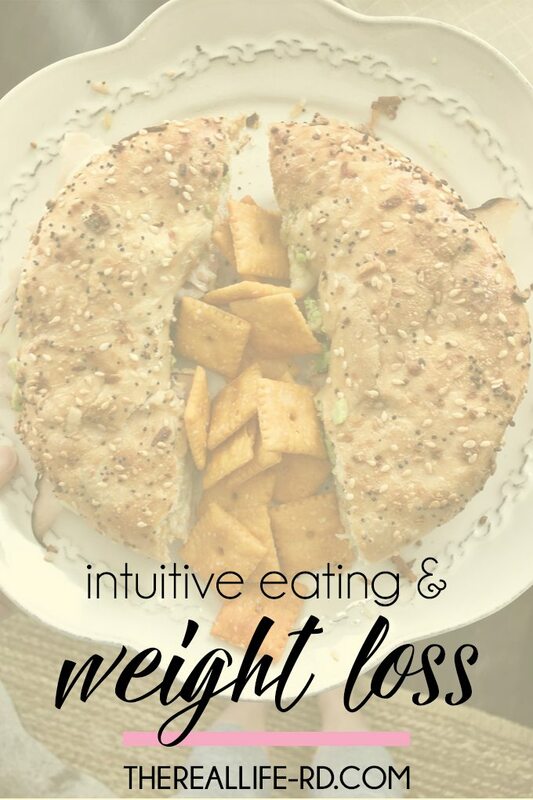 Intuitive eating is for women of any size. When you begin the intuitive eating journey, there are three things that can happen to your body. You will gain weight, you will lose weight, or your weight will stay the same. Intuitive eating, over time, supports your body in finding it’s natural set point. But the most important thing to realize is that weight is never the cause of health problems. Weight is simply an outcome. In the same way following food rules can cause us to be below our body’s natural set point, following food rules can lead to being above our body’s natural set point. In the same way that dissociating from our body’s physical sensations and signals can cause us to be below our body’s set point, it can also cause us to be above our body’s set point. It’s never about the weight. Health is never ever ever ever a manifestation of weight. Intuitive eating yes, if for the woman recovering from restrictive eating habits, but it’s also for the woman wants to eat in a way that allows her body to settle into the weight it was genetically designed to be. And it’s for the woman who might have health conditions that would benefit from tuning into how her body physically feels and learning to better care for herself. That does not mean she will be xyz weight by becoming an intuitive eater, there is health at every size, but it does mean she will find her healthy set point that she can easily maintain and where she feels good. Health at Every Size also doesn’t mean anyone is healthy at any size, rather it’s a weight neutral paradigm that focuses on health promoting behaviors. Weight loss is not the goal. Weight loss is never the goal. And when health is the goal, the focus is on behaviors and not on numbers. Intuitive eating is so much more than eating when you’re hungry and stopping when you’re full. Intuitive eating is about honing into your body’s needs and eating foods that are both satisfying and physically nourishing. Intuitive eating is also about becoming aware of your needs, being able to identify those needs, and then being able to meet those needs appropriately. In our culture, often we use food to cope – whether it’s restriction or binging or emotional eating or another behavior – food is used as a coping mechanism. Emotional eating is normal. Sometimes it happens and that’s okay. But when food is your only coping mechanism, that is when some more exploring can be helpful to determine what your body actually needs. Often it isn’t food. Other challenges that stand in the way with intuitive also include disregarding how a food makes you feel physically, therefore overriding your body’s physical cues to the point of discomfort. Once in a while this will happen and that is okay. It’s part of enjoying food for more than physical nourishment, but when it happens quite frequently…that might be something to explore more. 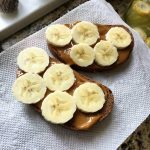 Intuitive eating isn’t about just eating what tastes good – of course eating satisfying foods is a huge part of becoming an intuitive eater – but learning your body and what makes it feel best is foundational to intuitive eating. We live in a culture that expects instant gratification – it’s why the diet industry makes billions of dollars per year. It’s why there is a drug to “fix” anything. But just like insulin can’t heal diabetes, diets don’t heal food or health issues. Intuitive eating is the way to long term, sustainable happiness, health and peace with food. But it takes a lot of work, there is a lot of gray area, and it’s a journey of ebb and flow where you are continuously learning more about yourself and your body. Myself included. There are days I overshoot my hunger and end up too full. There are times I’m tired or stressed and eat ice cream out of the pint in an emotional way. That’s okay. It’s not about perfection, it’s about learning. And over time, as you learn what makes your body feel best and what foods are most satisfying and you eat in a way that both nourishes and satisfies, your body will eventually find it’s set point. Because when you eat satisfying foods, the “what the hell, I’ll eat whatever I want” days dwindle, because you’ve given yourself permission to eat all foods at all times. Binging and overeating decreases because you’re not intentionally restricting calories or carbs or fats and you’re not mentally restricting certain foods. Eating to numb out feelings (which neglects your body’s physical needs) decreases because you’re in touch with your body’s actual needs and can respond to those needs appropriately. And from a physiological standpoint, stress dramatically decreases (which is a huge factor in finding your set point) when you release the pressure to adhere to xyz eating plan or exercise xyz way or not eat certain foods – and instead allow yourself to eat anything you want, whenever you want. Simply giving yourself permission to eat all foods makes previously “forbidden” foods less likely to be foods you overeat or binge on – because you know you can have them whenever you want. They can be eaten without shame or guilt. I tell clients it’s the “deglorification” of food. But this process often takes support from a skilled dietitian so you can learn eating skills that support your body’s physical needs first, before learning to be a competent eater around all foods. Having somewhere there to support you can help ease the distress that is bound to come in this process. It’s hard work, but it’s well worth it. You might really want to lose weight, and that makes sense given our culture, but can you shift your focus onto your behaviors. Can you support your body in finding it’s natural set point through health promoting behaviors. Health At Every Size isn’t saying weight loss is never possible, but it’s not the focus. HAES is about learning healthy behaviors that allow your body to find whatever size it needs to be. Weight loss is never the goal. True health, body acceptance and peace with food and exercise is the goal – and that is not contingent on a particular weight. 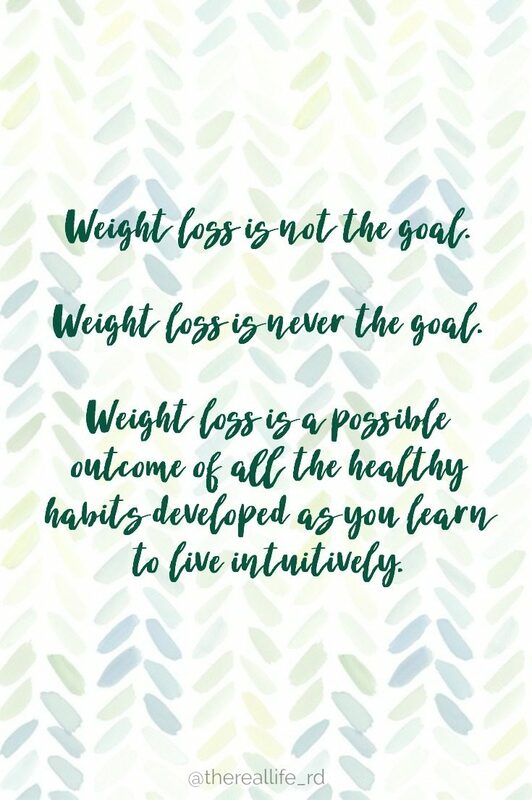 Weight loss is a possible, yet not guaranteed, outcome of all the other healthy habits developed as you learn to live intuitively – practice self care, sleep well, move in a way that feels good, and eat foods that feel good and satisfy you. But weight loss is never the goal. Because really, weight has no direct impact on your health. Intuitive eating is a journey and you never really “arrive” – we aren’t perfect people. Instead you continue learning how to treat yourself with compassion + gentleness, withhold judgment, and take care of your body regardless of your pant size. And that is what we call healthy. I just love reading your posts Robyn ❤ You are spot on! Thank you for your words of encouragement, wisdom and real life approach to all you do. I’ve been a long-time follower, and never comment…but just want you to know that I am so blessed by your blog. Praying for God’s goodness, joy and grace in your marriage ❤ I’m so thrilled for you! Thank you so much for this!! It came at the perfect time because I am currently getting back to IE. 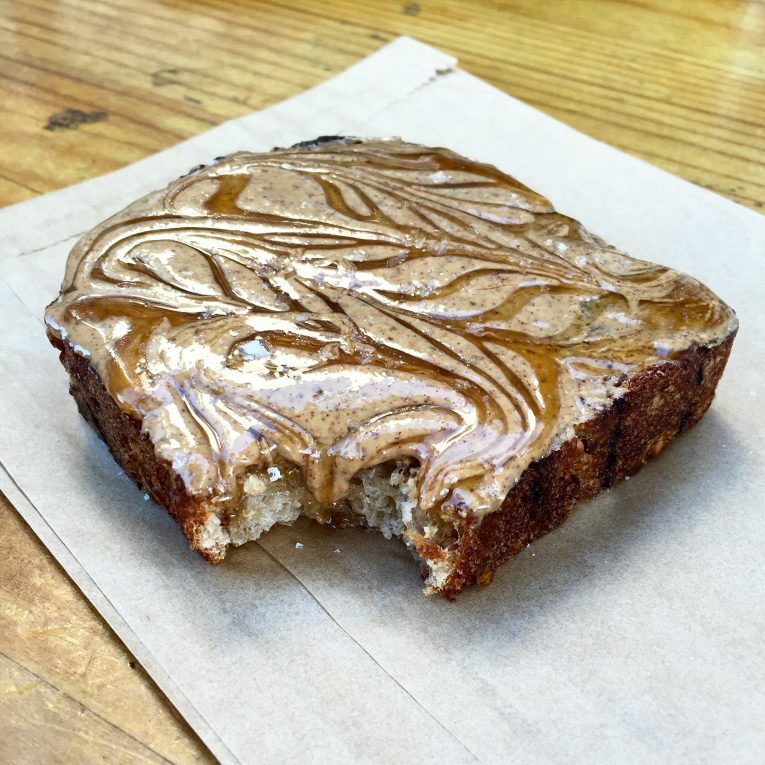 When I naturally practice intuitive eating, I do lose weight. It is not even planned but naturally my body functions and feels better at it’s set point, which is lower than where I am right now. After a slight relapse back into dieting and tracking and obsessing, my weight went up again the past few months. I started looking for a prescription outside of myself to lose the weight. This only brought me further away from myself, and added more stress. In turn, that made me lack trust of my body, start talking badly to it again, increased weight and misery in my life. I am reminded again of how GOOD it feels to tune in and be intuitive. It releases the stress, the shame, the rules, and thereby for me, the weight. But you are correct; it is a byproduct IF your body is holding onto weight. Everyone responds differently based on previous experiences. I’m not looking to lose weight, but I love reading about this. Health is for everyone and it can start at any time. Love love love love your words. They always know how to bring me peace. You always redirect my attention to the important aspects of my health. Restriction plays no role in my life, and you serve as a reminder of that. This is so great! I recently have started exercising in a way that I feel joy instead of stress and I can’t even BEGIN to tell you the difference! I no longer feel constrained to workout plans and specific sets of days to exercise. I no longer feel like I’m having to give up parts of me and my life just so that I can fit in that 5 mile run. And best of all, my stress level has decreased dramatically! I use to stress ALL DAY over having to go home and run so many miles that evening. I am still running now, but only on days when I have the time to and when I FEEL like I WANT to. All the other days, I’ve been coming home and enjoying walks around the neighborhood. SO MUCH MORE PLEASANT! I only wish I had this mindset sooner instead of missing out on so much of my life for the pursuit of a useless goal. Thank you for this beautiful post of wisdom — I am about to venture into the professional world of being an RD (Lord willing!) and it is so refreshing to hear a HEALTH-focused perspective on weight, esp for people for whom it is healthful to lose/gain. I’m in a very clinically-focused dietetic internship, which I love, but I don’t think that the message of health rather than weight reduction is always promoted when the focus is calories, protein, % weight loss, etc. Of COURSE there are health issues that need specific management, but thank you so much for using your platform to share that weight doesn’t = health. It is SO good to be reminded that we shouldn’t micromanage ourselves or advise others to do the same–and the longer I study nutrition, the less I care about such things :). Thank you for the ever-encouraging posts! I’ve been a long term follower but haven’t commented before now. After reading this post I’m struck by how far I’ve come since I started reading your writings. I first learned about Intuitive Eating here, read the book and didn’t really “buy it,” yet slowly, by coming back repeatedly and seeing your inspiring example of intuitive, non diet living, and by immersing myself in the resources you share-most recently the Food Psych podcast, so amazing-I’ve realized that I’m eating intuitively. I see that not dieting is NORMAL, that’s it’s NORMAL for women to not have rock hard bodies and that life just feels better when we are nicer to ourselves. I may not be as fast or thin as I once was, but I’ll take the softness of peace over the hardness of obsession any day. You are a great teacher and I will keep coming back for the nourishment I get here. Thank you for blessing all of us with your big heart. Also, have the best wedding day ever! This post was so good. I agree the mindset has to be about health and taking care of your body. And a lot of times through that weight loss comes. Before I started restricting, I didn’t really eat that “healthy” but I was exercising regularly and enjoyed it and actually lost a little bit of weight. It’s all about the mindset. Also, that (banana?) bread looks so good! Thank you so much for this post! I am one of those people who would truly benefit from losing a little weight for my long-term health. 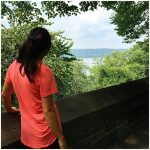 I follow several bloggers who talk about intuitive eating, but it always felt like it wasn’t quite for me, that it was more for the women who would benefit from a little weight gain or just comfortably maintaining rather than trying to lose. After a couple of years of disordered eating and HA, I managed to get out of the world of dieting and wound up gaining some weight (I’m guessing 10-15 pounds, though I haven’t weighed myself in probably a year or more) and feel like it’s just a little above where my healthy set point should be. It’s been hard to fully invest in intuitive eating because I just feared that it couldn’t be for someone whose body is above what is likely the healthy set point. 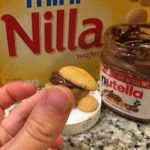 This is the first post I’ve seen about intuitive eating and healthful weight loss, so thank you!! no I haven’t but totally adding it to my list! Thank you! I love what you said at the end, “Intuitive eating is a journey and you never really “arrive”. I think it’s helpful for someone who is struggling with this to think of IE as a continuum, as is a healthful eating pattern. 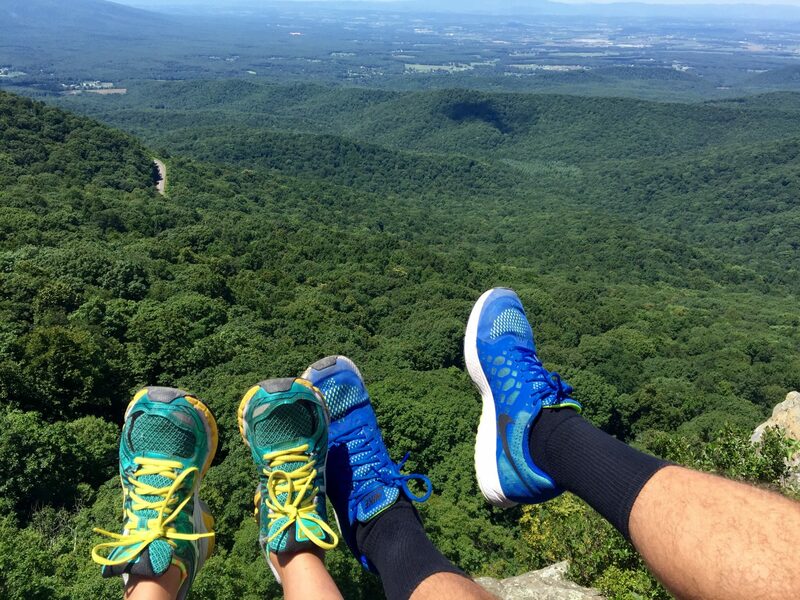 Thanks for a great post Robyn! I think if we know that we release a lot of pressure to “get it right” – it’s such a journey. love to you! So so thankful for every time you write about this Robyn; because for so long I just didn’t know how to listen to my body again. You and many dietitians in the blog world have been so instrumental in changing the conversation around health with HEALTH as the actual goal instead of weight loss or ‘calories’ or exercise being the goal. <3 Big hug and thank you. This is such a good reminder for me to trust myself. I’m currently 37 weeks pregnant and now looking forward to losing the 35 lbs I gained during my pregnancy after delivery. I SO miss the body autonomy and freedom I had before this little human took over! This post reminded me I’m looking in all the wrong places- external diet programs that don’t help me listen to my body won’t help. And after 3 years of working with a therapeutic dietician (who also promotes HAES and intuitive eating) she helped me lose almost 100 lbs before pregnancy- all while listening to my body, my heart and healing myself. It was and is about so much more than the weight- for me the weight was a symptom of pain, control and a way to keep others at arms length. Long comment (sorry!) I just wanted to share because it is possible to love your life, have a healthy relationship with food and your mental health and get your body to a good set point through intuitive eating. The catch is that you are never done- it’s a constant check in to listen to know what you need- not always perfect and not always easy. and then met my husband and his family and put on 20+ lbs and when you’re 4’11” it’s not a good thing. It makes everything harder. I’m not happy at this weight, yet genetically I’m screwed (half my uncles had bariatric surgery) – how can I accept being overweight/obese as fine? How is that possible? I realize my relationship with food will get better as time goes on, and that’s a relief, but I’m MISERABLE at this weight. Please help. The last time I was this overweight I went to no carb and I don’t have the stomach to do that again.